Motorists driving against traffic to undergo psychiatric test – Royal Times of Nigeria. The Federal Road Safety Commission, FRSC, has said motorists driving against traffic would be subjected to a psychiatric test. The Sector Commander of the FRSC in Ogun state, Mr Clement Oladele, made this known in an interview with newsmen in Ota today. According to him, any driver caught driving against traffic during the forthcoming Easter would also be prosecuted for dangerous driving. The sector commander further said that such erring drivers were liable to pay N50,000 as fine or risk imprisonment. He warned motorists against such nefarious acts in order to check loss of lives and property. 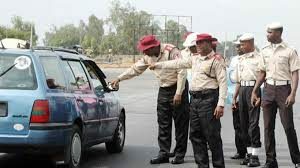 Oladele also said the FRSC had embarked on a special patrol for the Easter to reduce the discomfort of motorists travelling during the festival. He said that the command had reached an agreement with the construction company, Julius Berger Plc, to open the barricaded section of the Lagos-Ibadan expressway in order to ease vehicular movement. 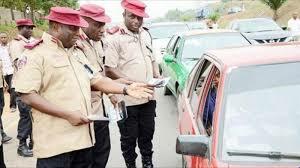 Oladele further said that FRSC personnel would keep vigil at strategic locations to check the excesses of motorists during the Easter. He implored motorists to maintain their vehicles and plan well ahead of their trips while refraining from night journeys.